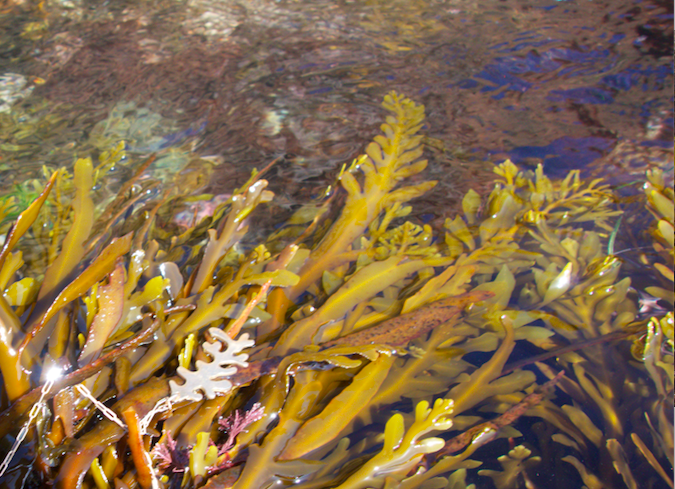 Algae draws inspiration for Jewelry from the natural world, the sea, and local legends. We manufacture jewelry by hand. Heres the story behind our process and inspiration. 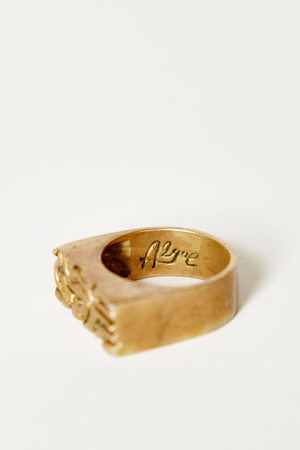 Algae's foray into jewelry began a couple years ago with the nugget cuff which was inspired by our metaphorical drug smuggling uncle's stories of Miami in the 80's. Its that ' I just got paid in square grouper' look. It also sort of serendipitously mimics coral and oolite textures. We design and manufacture all of our jewelry in DOWNTOWN Miami. We enjoy working with small family run businesses that have been there for generations. Predominantly in the Seybold Building, we first work with artisans to create a wax form. Next we take that upstairs to create a silicone mold, then over to be poured and polished. The hardest part is dealing with courthouse traffic. The Seybold Building in Downtown is home to some of Miami's oldest Jewelers. It feels a bit like a secret when you walk in. 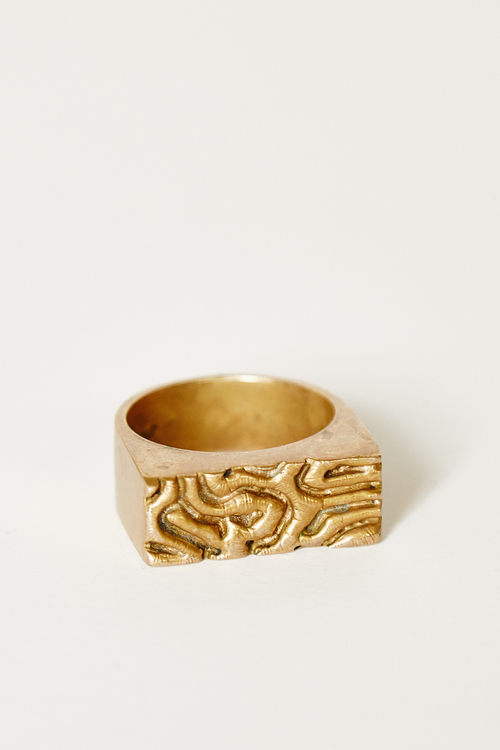 Keeping with that direction we produced a seafan-like textured perforated bronze Coral Cuff and a Brain Coral ring. Both have good nooks and crannies that weather in salty and sweaty environs beautifully. We choose to work in bronze predominantly because we like the way it petinas and frankly don't mind a little green on our skin. Brain Coral Ring getting some love from a sea anenome. (it spit it back out not too long after) #biomimicry am I right? Drawing inspiration from a bar said uncle probably spent a lot of time in we created an homage to Mac's Club Deuce. Its legendary neon is left over from its days in Miami Vice. Out-of-towners swear its the best kept secret, EVERY out of towner (Just ask Anthony Bourdain). As any good host know, sometimes you just roll with it as to not spoil the fun. After all its not like we don't also love the classic Miami dive ourselves. Drawing from our Landmark logo which is a nod to Florida's historic places of interest we created a very classic signet ring in bronze. We also created a series of pendant necklaces strung on classic bronze chain or rope links. We first created our classic 'Algae Blob' which is reminiscent of a matisse 'algae' paper cuts. The after we came across some super classic dusty charms in an old suppliers shop we picked some beauties that spoke to our underwater vibe and brought them back to life.